Another home that was recently for sale here in Skåne. I tell you, Skåne's the place to be :). I am starting to think I should be sponsored by Hemnet, the Swedish estate agent website, or maybe even start my own estate agent business, the trouble is I'd want to buy all the homes myself. 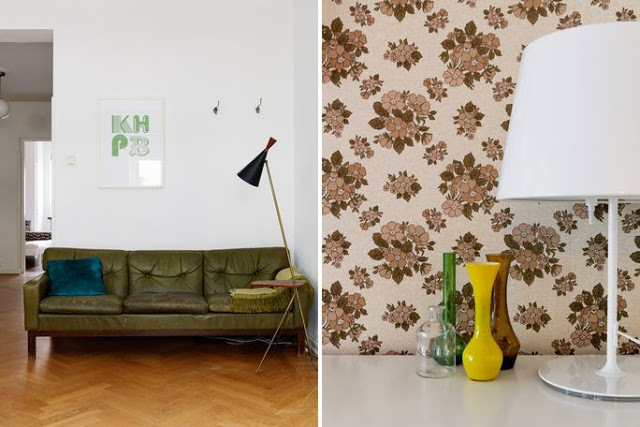 This fab retro inspired home was recently sold here in sunny Malmö. 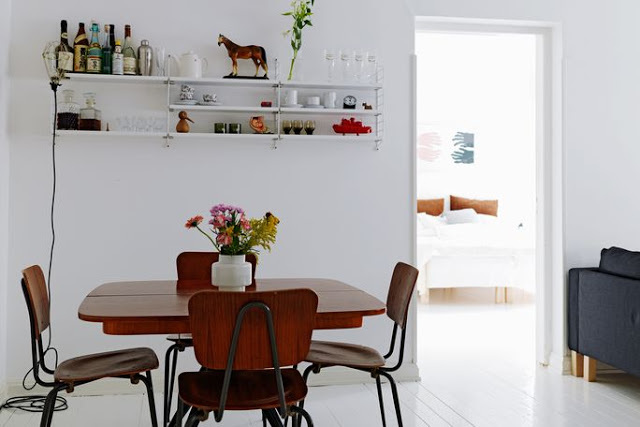 There's those white floors again.....but I my absolute favourite item here has to be the table and chairs, I would loooooove this set! What about you? Any great plans for the weekend? We're heading to a great little girls afternoon birthday tea this afternoon and then another little birthday party tomorrow so they'll be cake and more cake. Never ever a bad thing. My ideal home, it's like going back in time! Cake is always right, and Skåne:) hope yoy enjoy your weekend! 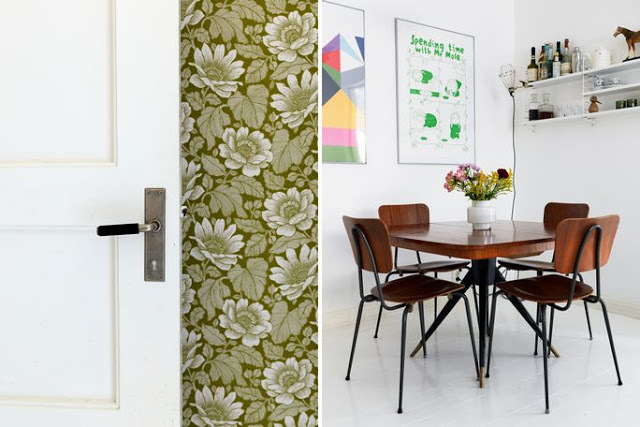 I love the way 'retro' is interpreted - it has a fresh and modern twist! Me and you both, there are some fantastic places in Sweden, would love that table too, gorgeous. Oh that bedroom really makes me miss having actual window ledges to put plants on. Lovely home. 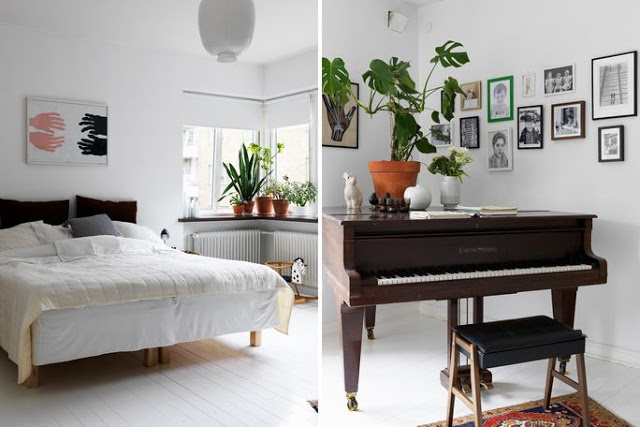 Funny...the window ledge in the bedroom with the plants is exactly what stands out for me too. My home doesn't have window ledges and I'm developing window ledge envy! 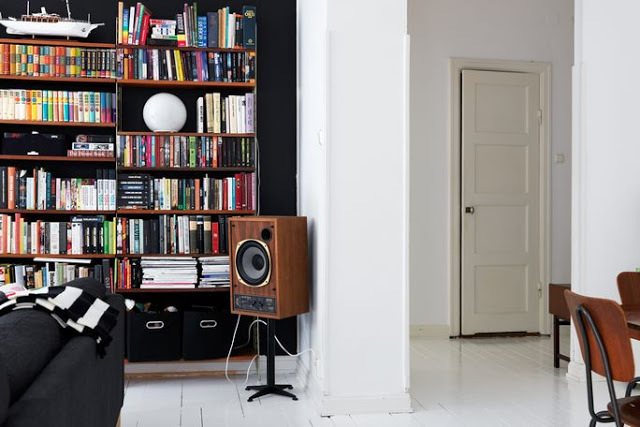 This home is lovely..the piano...the books...the light...very liveable. I like your blog .Totally interesting also extraordinary blog interesting picture gallery. Give more pictures.